"The primary care physician is the key to creating a more effective health care system"
DETROIT & LOUISVILLE, Ky.--(BUSINESS WIRE)--ConcertoHealth and Humana Inc. (NYSE: HUM) have signed a value-based health care agreement designed to offer Humana’s Medicare Advantage members in Detroit and throughout Southeast Michigan an option for a more coordinated, more personalized health care experience. Value-based care, also known as accountable care, is a growing national trend representing a shift away from the historic health care model that focused on treating individual health events. Value-based care aligns all players in the health care system to focus on a person’s overall health and long-term well-being. ConcertoHealth has more than a decade of experience caring for Medicare, Medicaid and complex medical needs patients. The company integrates clinical care with social services to ensure that patients and their families receive the individualized support they need to improve health outcomes and peace of mind. Concerto recently opened three new care centers, to extend their services to additional patients across Greater Detroit. Concerto’s care centers, located in downtown Detroit, MI. ; Centerline, MI. ; Allen Park, MI. 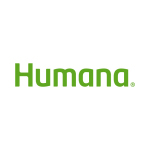 ; and West Detroit, MI, are now available to Humana’s Medicare Advantage members. Through the new agreement, Humana’s population health capabilities, including predictive analytics, chronic disease management and wellness programs, will complement Concerto’s highly integrated health care network and patient-centered medical home initiatives. The goal, according to Humana Medicare Products President Chuck Dow, is to place primary care physicians at the center of the health care system. The agreement includes value-based incentives tied to performance improvement and quality outcomes, emphasizing standard measures defined by the National Committee for Quality Assurance (NCQA) Healthcare Effectiveness Data and Information Set (HEDIS), including breast cancer screening, colorectal screening, comprehensive diabetes care, and high-risk medications. Humana has nearly 30 years of accountable care experience, reflected in results from approximately one million Medicare Advantage members that showed significant improvements in quality, outcomes and costs through partnerships like the one with Concerto. Today, Humana has 1.6 million individual Medicare Advantage members and 200,000 commercial members today who are cared for by approximately 44,000 primary care physicians, in more than 900 value-based relationships across 43 states and Puerto Rico. For more information, visit humana.com/accountable-care. ConcertoHealth, Inc. has more than a decade of experience caring for the Medicare, Medicaid and complex medical needs patient populations. The company delivers the medical, social and logistical support their patients need, when and where they need it. Concerto Medical Centers are staffed by physicians, nurses, social workers, medical assistants, and pharmacy staff, in addition to social and community services support, patient outreach and health education. The company also provides access to those same personalized primary care services to patients in the home, and in the hospital or nursing facility settings. The company is headquartered in Irvine, Calif. For more information, please visit www.concertohealthcare.com.